Sehr starkes Best Of, bis auf die beiden etwas abfallenden Songs "Breaking The Girl" und "Higher Ground" hab ich nicht viel auszusetzen. "Otherside" und "Universally Speaking" sind wirklich fantastisch, aber auch "Californication", "By The Way" und "Parallel Universe" können fast so sehr überzeugen. Der Rest sind auch sehr nette Stücke. Auch da die CD wirklich fast randvoll gefüllt wurde (66'48'' lang), sind die 5* redlich verdient! ja fast schon Rekord sein hier !!! nichts auch nur im Ansatz schwaches mit dabei. I've heard all of it way too much but I cannot deny its greatness. Not a single dud on this compilation. Might I add that I was always perplexed as to the exclusion of Aeroplane. Definately a must have for any music fan is a GH compile from the RHCP but like Irelander I feel they missed some killer tracks in Warped, Aeroplane and even the classic Love Rollercoaster. Top Album, auf jeden Fall. Was mich stört, ist der leicht höhere Klang auf der ganzen Disc. Zudem ist der Anfang bei Californication leicht abgeändert. Schade, dass "Can't Stop" nicht dabei ist. Aber sonst natürlich ein Meisterwerk! Quite simply it does what the title says. 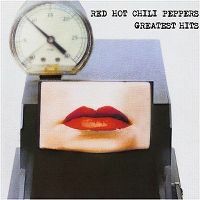 It is the the greatest hits from a truly iconic band that has been hailed as one of the greatest rock bands in history and my all time favorite band. 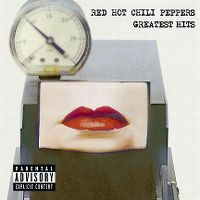 There are many more tracks that are worthy of being in an RHCP greatest hits album (no Aeroplane? ), but there is so much capacity on a CD; but there is not a bad track in this compilation. Like the addition of unreleased material.. Fortune Faded especially. A true beginners guide to RHCP to new fans. Wunderbare Zusammenstellung, obwohl so mancher Song noch fehlt.